Looking to Medicare as a Model for Health Care Coverage? Improve Medicare First. When looking to expand access to health care coverage, it’s natural to look to Medicare, the country’s well-tested, flagship health insurance program. Medicare is not only more cost-effective than private insurance, it’s also beloved by beneficiaries, their families, and the general public. Thus, proposals presented by some would aggregate our current, multi-pronged coverage system into a single-payer model, which some call “Medicare-for-All.” Other proposals would allow people under age 65 to buy-into Medicare. Yes! We agree, before moving more people into Medicare, it needs to be improved and simplified. With all of its virtues, Medicare also has flaws. There are still significant gaps in coverage – vision, hearing and routine dental, not to mention long-term care. Traditional Medicare does not include a cap on out-of-pocket expenses or its own prescription drug benefit. Medicare Advantage adds costs to the system and significantly limits enrollees’ provider choices. Assistance for low-income individuals is limited. And, all too often, payment and quality measures lead many providers to prematurely terminate, or avoid providing medically necessary care entirely, for people with longer-term, chronic and debilitating conditions. Traditional Medicare must include the same benefits and the same limits on cost-sharing as private Medicare Advantage. People who choose traditional Medicare ought to have the same cap on out-of-pocket costs and the same “one-stop-shopping” opportunities as people in private Medicare Advantage. Like their counter-parts in Medicare Advantage, people who choose traditional Medicare should be able to obtain prescription drug coverage without having to purchase a separate Part D plan. If supplemental, Medigap insurance continues to be necessary to help with cost-sharing, it should be available and affordable for all people with Medicare, including people with disabilities and pre-existing conditions, which it is not the case in many states. 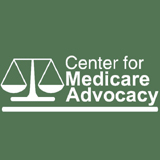 As health policy discussions (hopefully) turn towards expanding, rather than contracting, health coverage, the Center for Medicare Advocacy will work to improve Medicare for all those it currently serves, and may serve in the future. This is a critical first step before adopting Medicare as a basis for health coverage expansion. Entry filed under: Health Care Reform, Medicare, Medicare Reform, Single Payer. Tags: Medicare for all.